Join our recruiting network to connect with more than 1000+ college coaches! Where can I find college athletic scholarships? If that sounds like your question, doubt or worries, then search no more because I have good news for you. We know you might say, I have never tried any athletic scholarship programs, I will completely guarantee and tell you the simple truth that you have never used anything like our athletic scholarship recruiting system before and I promise that you’re going to be absolutely amazed with this system. -- every word of it -- is about how we can improve your chance of getting an Athletic scholarship. You will agree with us that families paying for higher education require comprehensive financial aid strategies that draw from all available resources to meet expenses. 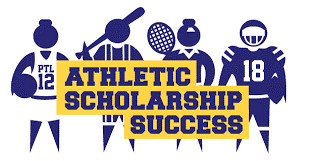 Have you ever wondered how other student - athletes get athletic scholarships? Don’t worry, because you have come to the right place! Who Else Wants to Reduce the Time & Stress He spends on getting an athletic scholarship, And Ultimately Save Thousands of Dollars Which Would Have Gone into scholarship services? Whoever Said You Can’t Get an athletic scholarship Doesn’t Know This Exists! 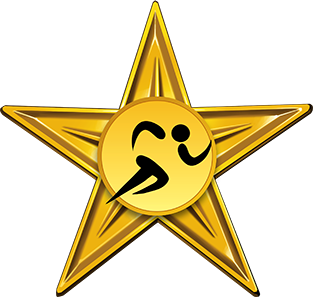 And if you have ever wished you could get an outstanding Athletic Scholarship platform that could potentially get you that athletic scholarship, then you’re at the right place at the right time. You are probably wondering how Apogeezs can help you get an Athletic Scholarship so you can eventually play at the college level? You don’t have to worry we have a program! Coaches can’t recruit you if they don’t know who you are. In any given year a college sports program will begin their recruiting efforts by actively evaluating hundreds of potential recruits. Coaches won’t be recruiting you or offering you a sports scholarship unless they know who you are. It is your responsibility to get the coaches attention. It was hard work but it paid off in the end. Thank you for placing the control of my college athletic career in my hands! Keep up the good work family! sure thing in recruiting; if you aren’t speaking with coaches you aren’t being recruited. Join the #1 recruiting network!